Al Sharq Investment announced that it has signed a contract with Marriott International to debut W Hotels branded residences in the Middle East in Dubai with the rebranding of its luxury Alef Residence project. 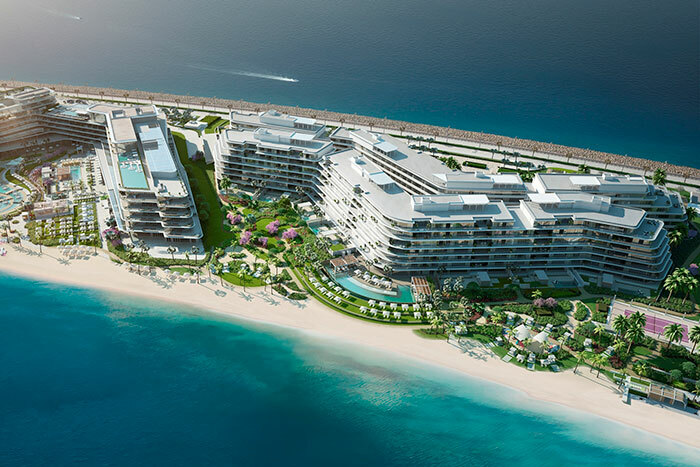 Announced at the real estate exhibition MIPIM Cannes, the agreement means that more than AED 3 Billion project on the West Crescent of Palm Jumeirah - the largest man-made island and the one of Dubai’s most iconic attractions – will feature the brand’s signature style, services and amenities and offer residents the opportunity to live the W lifestyle every day. Owners will begin moving in the residences during 2019. The state-of-the-art project rising next to the W Dubai - The Palm contains a variety of residential options, including eight mansions with 104 unique residences priced from AED 15 million to AED 85 million. The W Residences Dubai – The Palm offers five penthouses that come with private lobbies and lifts, 15 garden residences with private landscaped garden and swimming pool, 84 panorama residences with only two units per floor. Owners will have a selection of two, three, four and five bedroom luxury homes ranging from 5,000 sq. ft to 15,000 sq. ft. of spacious accommodation, with stunning floor-to-ceiling panoramic view with either unobstructed views of the Arabian Gulf or Dubai’s world-famous skyline, and the Dubai Marina. With the touch of a single button, owners can also access Whatever/Whenever® service and have instant access to 24-hour concierge services. Al Sharq Investment is committed to delivering the utmost in excellence through the development and operation of luxury leisure and lifestyle destinations. To achieve its vision Al Sharq Investment has teamed up with exceptional global brands in hospitality, fine dining, and architecture. Al Sharq Investment aims to be amongst the leading developers of luxury lifestyle destinations by bringing the best in hotel offerings for short-term visitors as well as the finest in design, and quality finishes for residents.